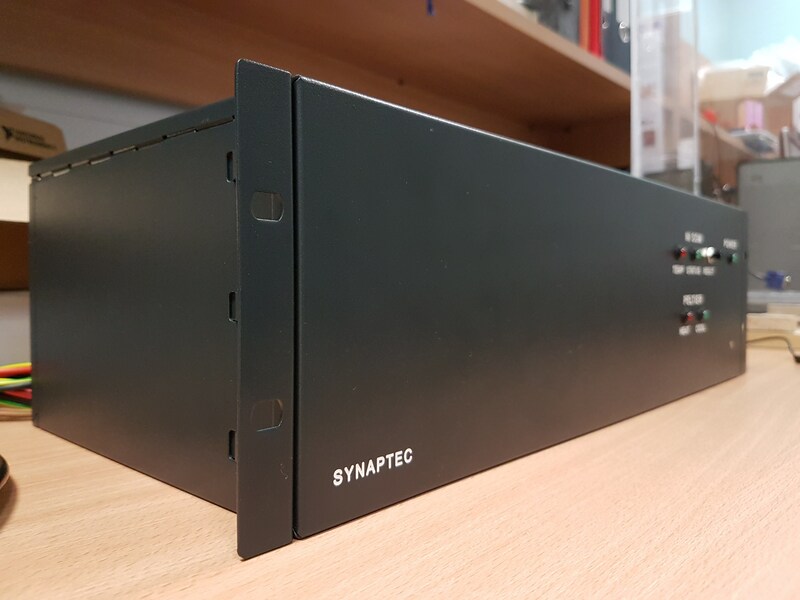 Synaptec have developed novel sensing technologies for the electrical power network. These sensor systems are able to detect faults at long distances using existing optical fibre networks operating on electrical grid infrastructure at present. TCS has developed a bespoke control system to maintain a constant temperature in a constantly changing ambient environment.